(CNN) - The body of the wife of an American reality TV show producer was found at a Cancun, Mexico, hotel Thursday morning, a Mexican police spokesman said. Bruce Beresford-Redman, a producer on CBS' "Survivor," was detained as a suspect in her death, according to regional police spokesman Adrian Cardena. 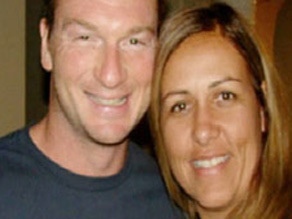 Monica Beresford-Redman was reported missing by her husband on Tuesday, police said. Her body was found in a sewer on the grounds of Cancun's Moon Palace resort hotel at 9 a.m. Thursday, Cardena said. Beresford-Redman built a career as a widely acclaimed Hollywood reality television show producer. He helped develop the popular 20-season CBS show "Survivor," in which contestants compete against each other in a variety of extreme outdoor scenarios. He was nominated for three Emmys as a producer on the show, but was last credited as a producer in 2004. He also worked on NBC's "The Contender" and "The Restaurant," as well as MTV's "Pimp My Ride," according to entertainment media company IMG. Life is very short. We should think every breathe we take is our last. That would take every last breath itself, wouldn't it? Your legacy amoung all of the brazillian community will never be forgotten. You were an insperation to all of your friends. We will are care for your buitifull kids if they were our own. May your wonderful soul be at rest and peace be with your family. YOU WILL ALWAYS BE MISSED AND NEVER FORGOTTEN !!! Unfortunately, this is a very sad story, our prayers go out to her family and children. My husband and I are VIP members at the resort and have never felt unsafe, The Moon Palace is one of the most beautiful resorts we have ever been guest at. I'm sure they will find the person responsible for her awful and untimely death. Beautiful resorsts doesn't mean "safe". Cancun resorts are some of the safest and most beautiful in the Caribbean. This was a domestic violence problem within one specific family that simply happened to be in Cancun. It certainly will not dis-sway me and my family from returning to the Riviera Maya.